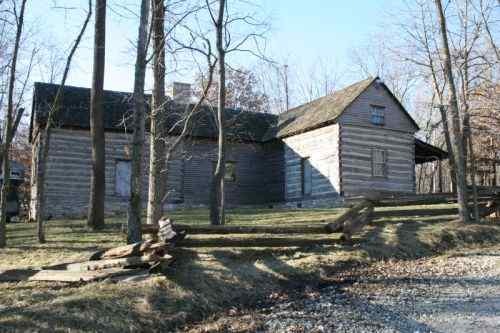 Located in the heart of Deer hunting country on the Adams and Pike county line of Illinois is this authentic restored 1800s dog trot log home. The home sets on 45 acres of pasture and woodland on the bluff one property back from the Mississipi river. The farm has a 100 x 200 foot out door arena with pipe fencing. It offers a log barn with 6 horse stalls, and a finished and insulated room in the barn that could be used as a tack room or work shop. The house has a large fireplace with a bake oven on the back wall. There are 5 rooms in the upstairs that are being used as bedrooms. This home could be used in many different directions. It would be ideal for a hunting lodge for an outfitter that wants to hunt the white tails on the property. 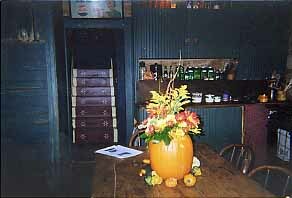 People fond of early Americana will love the attention to detail that has been done on the restoration of the home. The log home has been designed with the antique enthusiast in mind and furnished currently with early primitive antiques. It would be the perfect home to display your collection of early painted furniture and Americana. Whether you need a country horse retreat, a deer hunting lodge or if its your dream to own a bed and breakfast inn near Hannibal Missouri, this property could be for you. 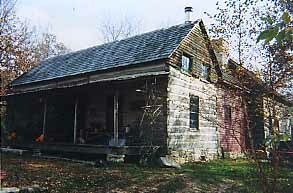 The 1880 dogtrot log cabin. In back is the larger 1837 log cabin. 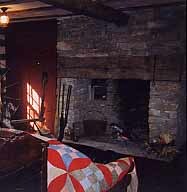 Large stone fireplace in the keeping room. 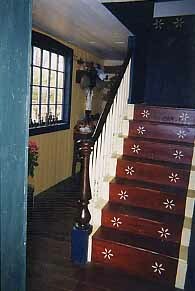 Hall and stairs with a walnut bannister and stenciling. The kitchen floor also has a painted floor cloth. concealed by a built in cabinet. Log home as seen from drive. 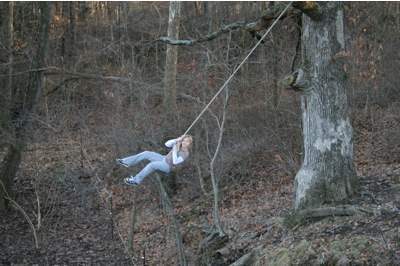 Swing in white oak tree below house.